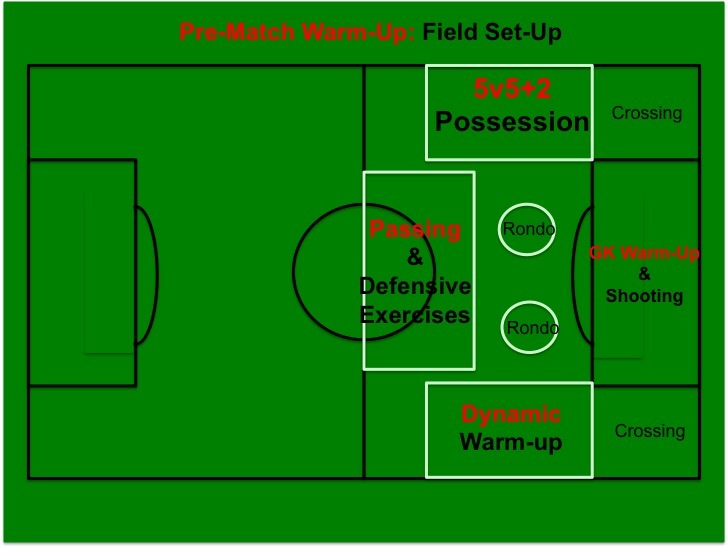 The pre-match warm-up is one of the most important parts of match day preparation for players both mentally and physically. The quality of the warm-up routine from the organization to the execution sets the tone for the game. The warm-up routine should prime the body for competition by firing-up the neurological system with the quick powerful fast movements, get the players acclimated to the field conditions and allow players to experience the weather conditions while under physical exertion. 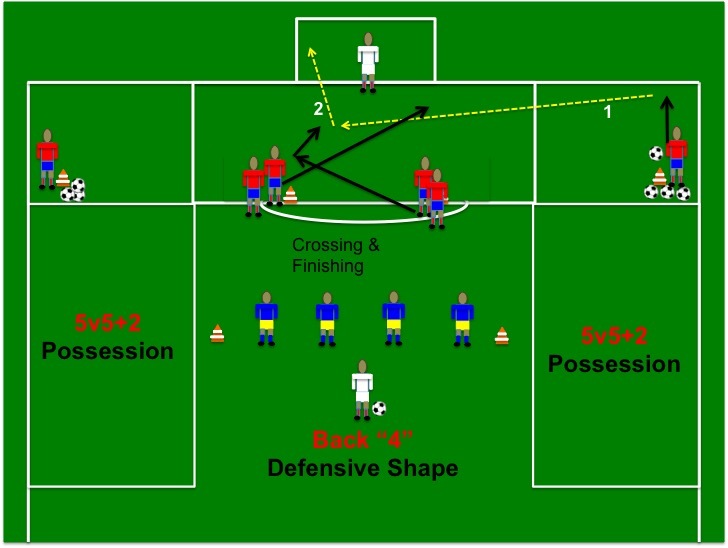 The pre-match routine presented in this guide is the exact one my team currently uses. It combines all the major warm-up elements from Manchester United, FC Barcelona, Newcastle United, Atletico de Madrid and Chelsea FC. I trained my staff to set-up this warm-up 30 minutes before the team arrives at field. Once the routine is started the entire staff works with the players during the warm-up. I firmly believe the pre-match warm-up needs to be very focused, positive and full of energy. The coaching staff is expected to set the tone with the energy level along with the team captains. The warm-up is even more energized if our selected motivational music can be played!